Playing Fall Out Boy's From Under The Cork Tree in full! 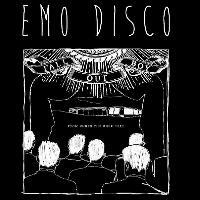 Emo Disco is back at Hare & Hounds Kings Heath on Friday 22nd February to bring you all your favourite emo anthems from the likes of My Chemical Romance, Panic at The Disco, From First to Last, The Used, Funeral For A Friend and many more. As well as this we will be playing Fall Out Boy's From Under The Cork Tree in full !! From start to finish. From Our Lawyer Made Us Change the Name of This Song so We Wouldn’t Get Sued to XO!